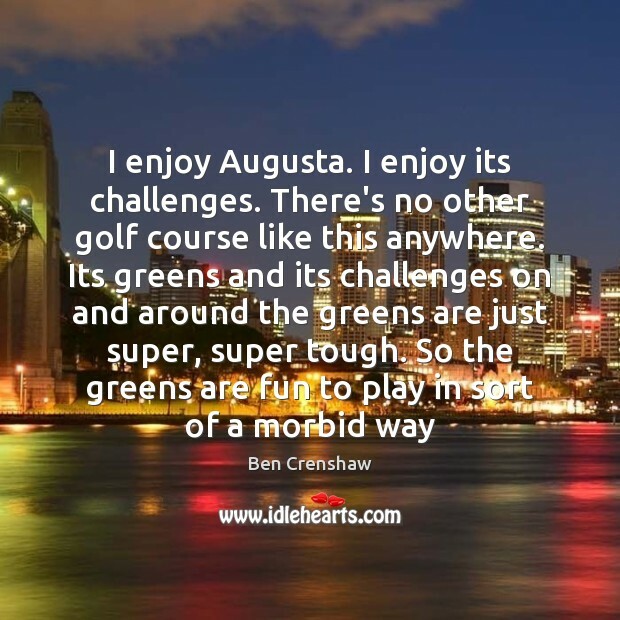 Quotations about Augusta. Quotes to stimulate mind and drive action! Use the words and quote images to feed your brain inspiring things daily! 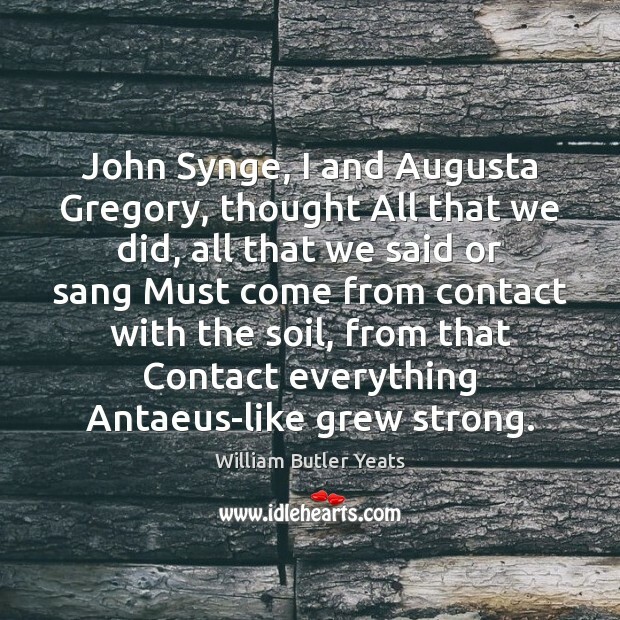 John Synge, I and Augusta Gregory, thought All that we did, all that we said or sang Must come from contact with the soil, from that Contact everything Antaeus-like grew strong. 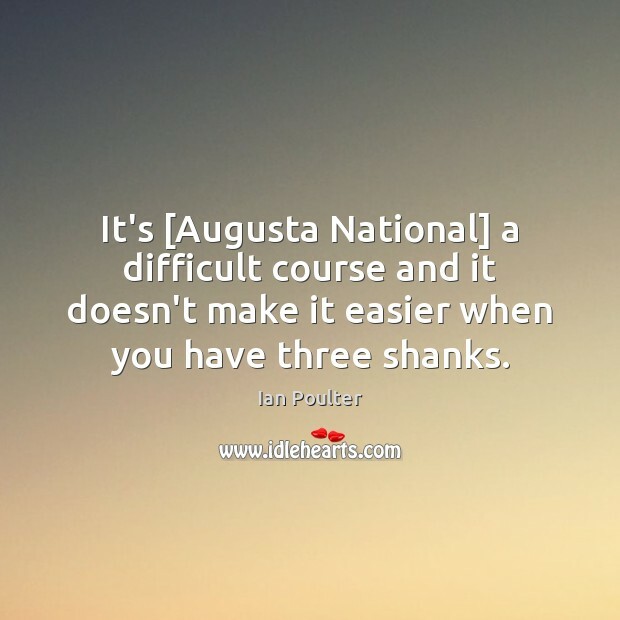 It's [Augusta National] a difficult course and it doesn't make it easier when you have three shanks. 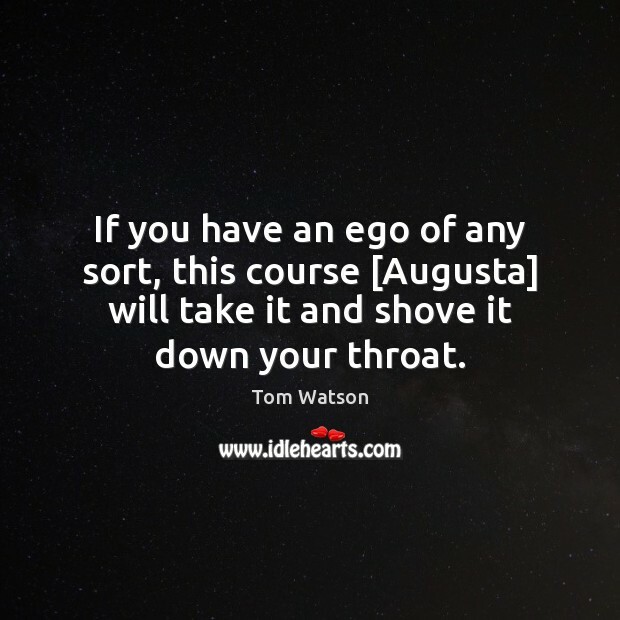 If you have an ego of any sort, this course [Augusta] will take it and shove it down your throat. Bunbury? Oh, he was quite exploded. Exploded! Was he the victim of a revolutionary outrage? I was not aware that Mr. Bunbury was interested in social legislation. If so, he is well punished for his morbidity. 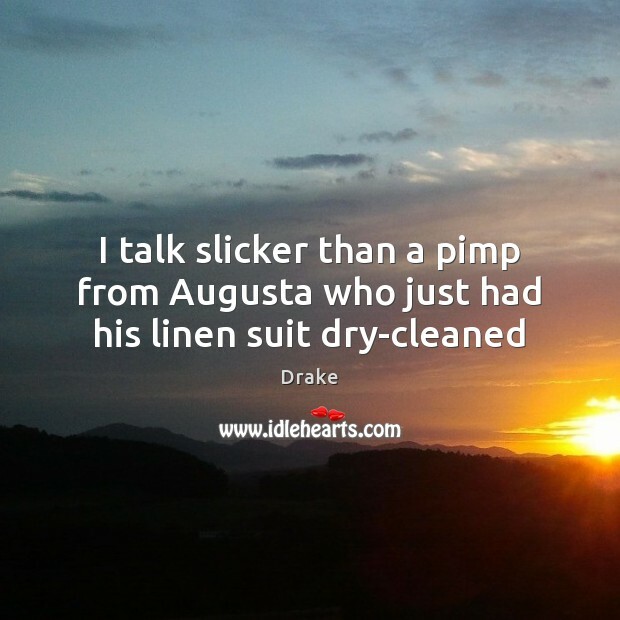 My dear Aunt Augusta, I mean he was found out! 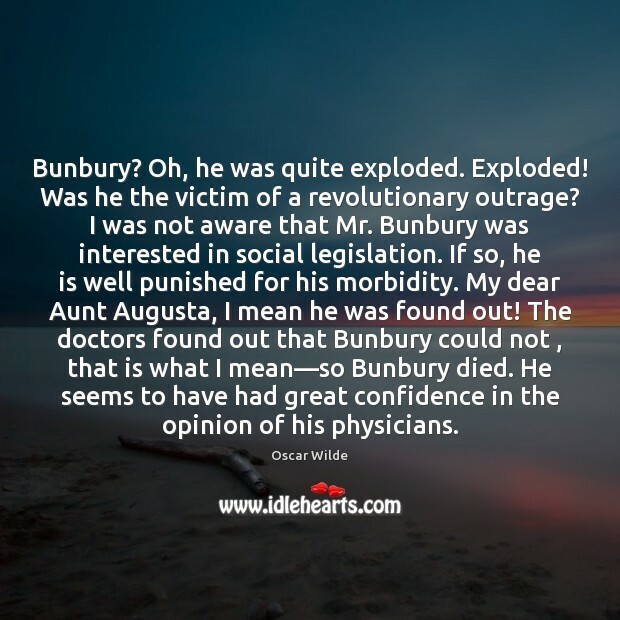 The doctors found out that Bunbury could not , that is what I mean—so Bunbury died. He seems to have had great confidence in the opinion of his physicians. 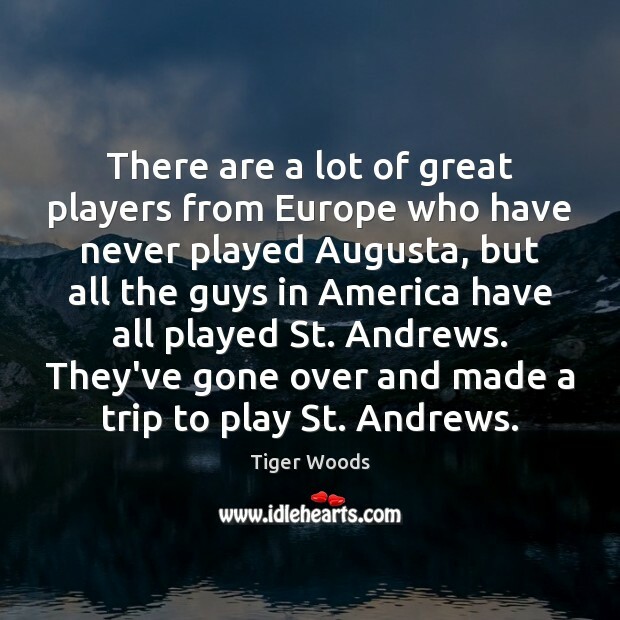 There are a lot of great players from Europe who have never played Augusta, but all the guys in America have all played St. Andrews. They've gone over and made a trip to play St. Andrews. 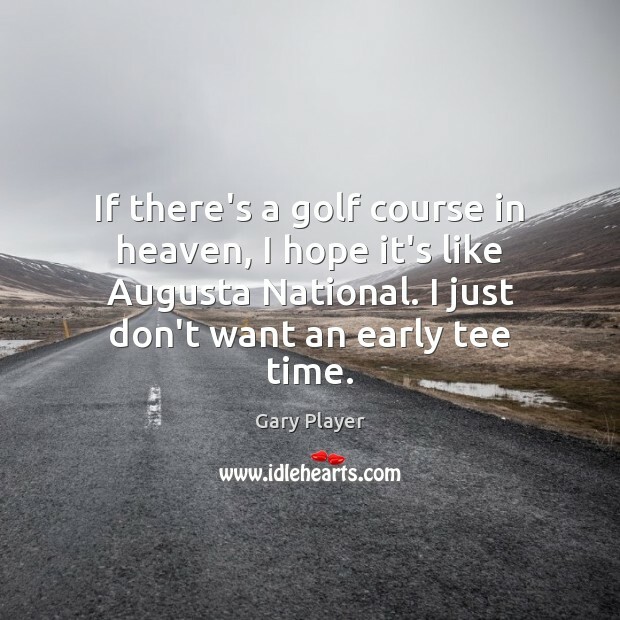 If we had to play Augusta National in one hour, the best athlete would win the Masters. But as it is, they give us time to hang ourselves. 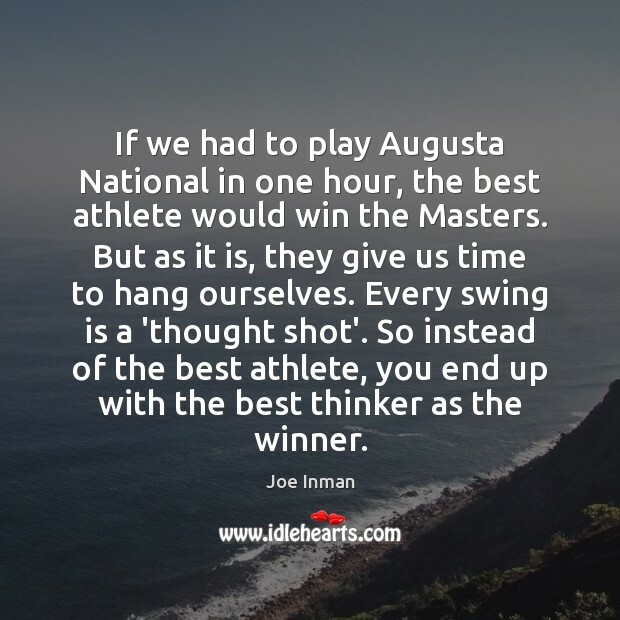 Every swing is a 'thought shot'. So instead of the best athlete, you end up with the best thinker as the winner. 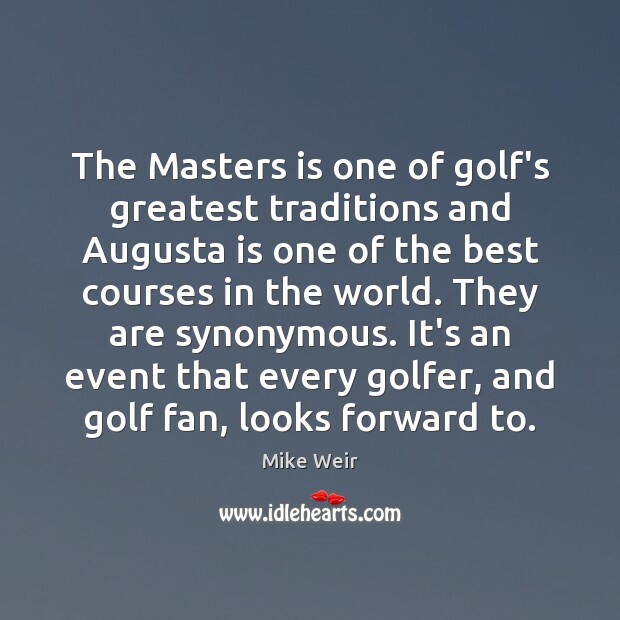 This will be my 54th trip to Augusta. 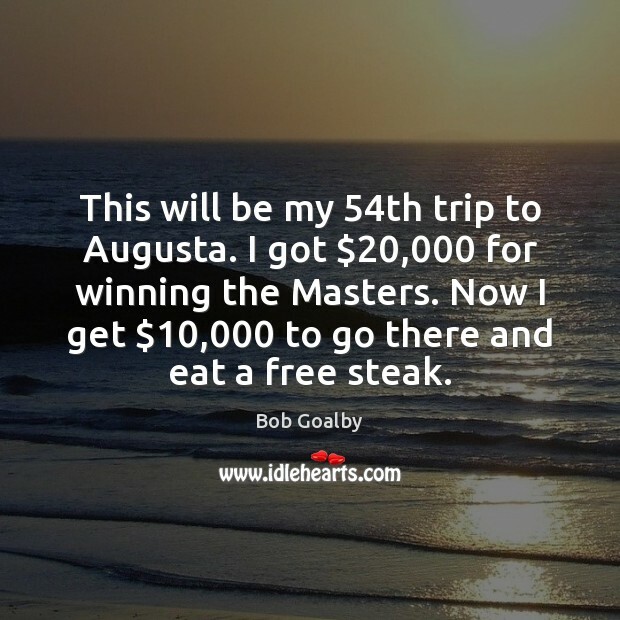 I got $20,000 for winning the Masters. Now I get $10,000 to go there and eat a free steak. If you go to Atlanta, the first question people ask you is, "What's your business?" In Macon they ask, "Where do you go to church?" In Augusta they ask your grandmother's maiden name. 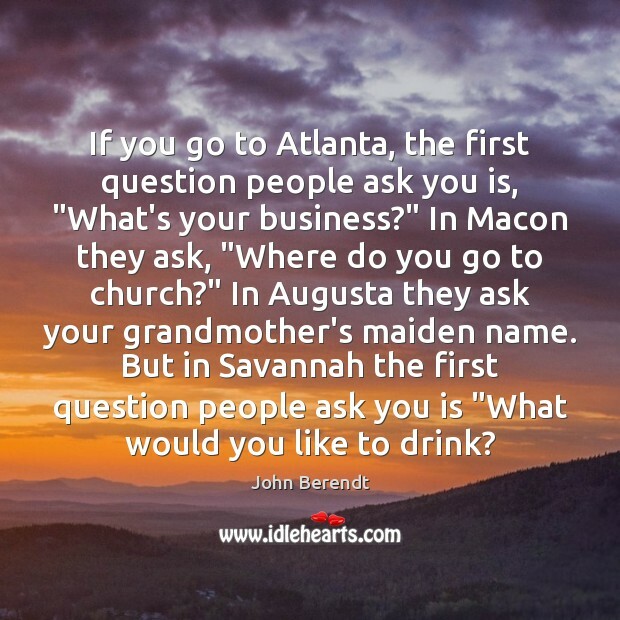 But in Savannah the first question people ask you is "What would you like to drink? 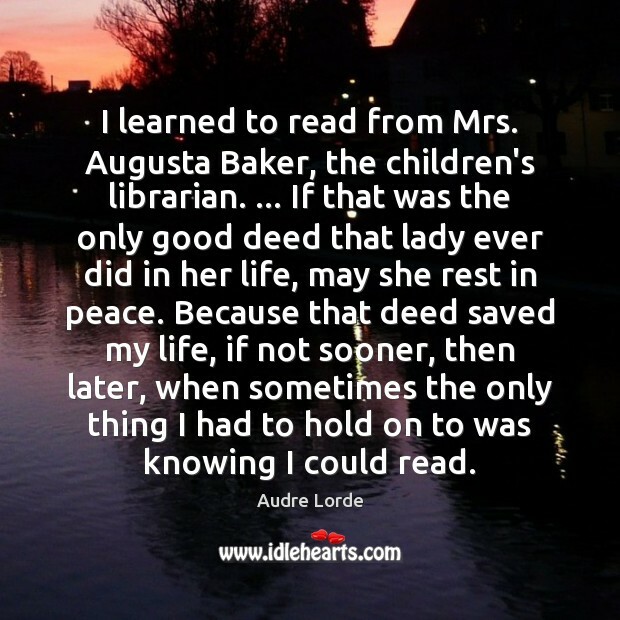 I learned to read from Mrs. Augusta Baker, the children's librarian. ... If that was the only good deed that lady ever did in her life, may she rest in peace. Because that deed saved my life, if not sooner, then later, when sometimes the only thing I had to hold on to was knowing I could read. Ben Hogan was not really a big hitter. He was long enough. But Ben Hogan today? 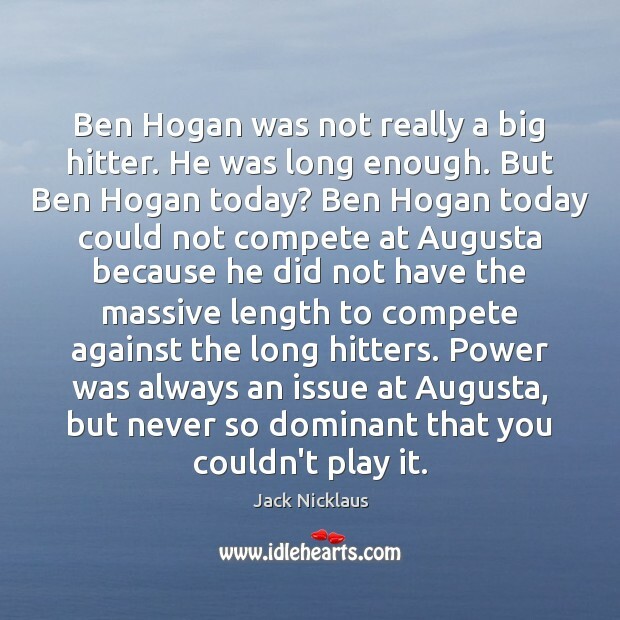 Ben Hogan today could not compete at Augusta because he did not have the massive length to compete against the long hitters. Power was always an issue at Augusta, but never so dominant that you couldn't play it. 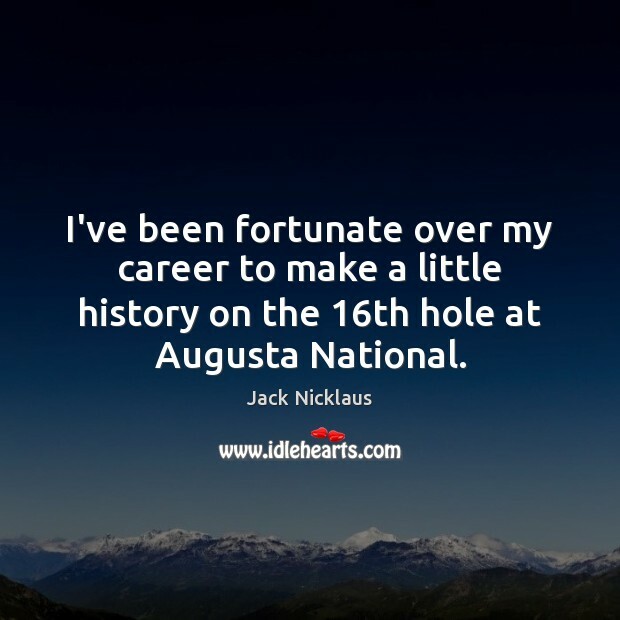 I've been fortunate over my career to make a little history on the 16th hole at Augusta National. 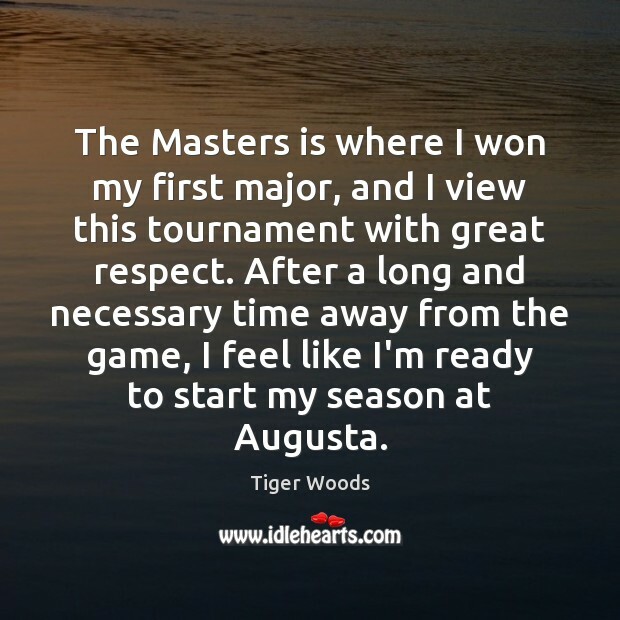 If you let it, the Masters will play you instead of you playing it. Augusta National can pamper you right off the bottom of the leader board. 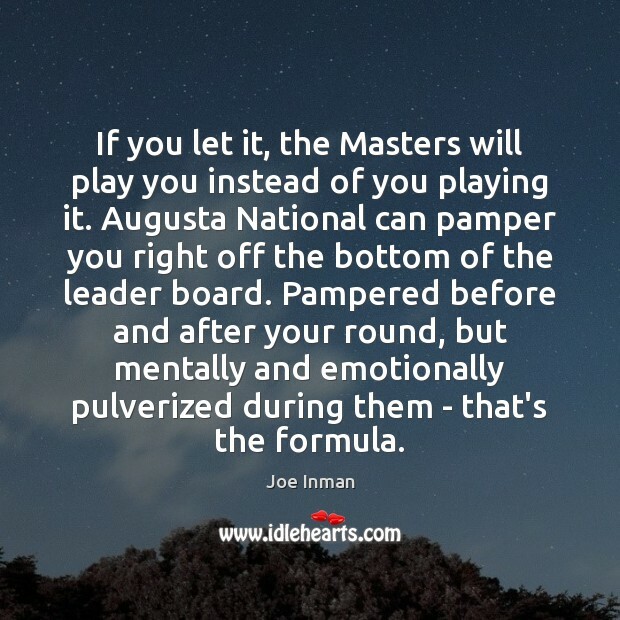 Pampered before and after your round, but mentally and emotionally pulverized during them - that's the formula.